Keith Tsuji/GettyFormer Renault-Nissan-Mitsubishi head Carlos Ghosn. 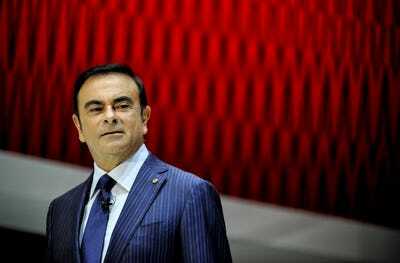 Carlos Ghosn, the architect of the Renault-Nissan-Mitsubishi alliance, was arrested in Japan last week. Nissan alleged that he had engaged in years of financial misconduct. He has yet to be charged. Ghosn is an auto-industry legend, and if he falls, it would the most spectacular demise in the history of the car business. Last week, the auto industry was rocked to its core when legendary executive Carlos Ghosn was arrested in Japan. Ghosn, 64, was chairman and CEO of Renault, chairman of Nissan, chairman of Mitsubishi, and the architect of a tripartite alliance that in 2017 was the world’s biggest automaker by sales. Ghosn was a celebrity CEO, a Brazilian-born leader of Lebanese descent who came of age in France. In the early 2000s, Ghosn took charge at the newly formed Renault-Nissan alliance and steered the two automakers toward revival and global dominance, competing in numerous markets and challenging General Motors, Toyota, and Volkswagen. He was feted in Japan, where, as an outsider, he broke into that country’s insular auto industry. As with the late Fiat Chrysler Automobiles CEO Sergio Marchionne, his every utterance was closely followed on the worldwide car circuit. He was wildly successful, risk-taking, borderline arrogant and at-times despotic, but also considered incredibly wise. Following his arrest, Nissan revealed that it has passed along a whistleblower tip to the Japanese authorities, leading to allegations that Ghosn had been detained in Japan due to financial misdeeds and fraud. Auto executives have fallen before, but none were as big as Ghosn, and none had enjoyed such long careers at the top. Ghosn did everything he’s been accused of. Ghosn’s career has spanned decades, and through all those years, his swaggering and at-times entitled corporate behaviour has been observed. Prior to Tesla CEO Elon Musk’s arrival on the scene, Ghosn was the undisputed top-dog, rockstar automotive leader. And he acted like he knew it. For over a thousand years Roman conquerors returning from the wars enjoyed the honour of triumph, a tumultuous parade. In the procession came trumpeteers, musicians and strange animals from conquered territories, together with carts laden with treasure and captured armaments. The conquerors rode in a triumphal chariot, the dazed prisoners walking in chains before him. Sometimes his children robed in white stood with him in the chariot or rode the trace horses. A slave stood behind the conqueror holding a golden crown and whispering in his ear a warning: that all glory is fleeting. Ghosn, as Nissan’s CEO and later as its chairman, might have had some lieutenants whispering in his ear, but more like he had yes-men signing off on his pronouncements. Ten years ago, the arrangement made sense. Ghosn had yoked together Renault and Nissan in an alliance that against the odds benefitted both automakers. Japan and France were pleased. But more recently, as Ghosn stepped down as Nissan’s CEO, cracks were showing. He had gotten into fights with the French government, which controls 15% of Renault, over his compensation. His pay was also controversial in Japan, where he was an outsider who made far more than his Japanese counterparts at other major car companies. Ghosn perhaps didn’t care, because he was still paid less than other CEOs. But was he still worth it? Adding Mitsubishi to the alliance gave the triumvirate additional scale, but the troubled automaker wasn’t likely to add much to the alliance’s North American business, where Nissan had been clinging to market share by burning profits through discounts of slow-selling models. Ghosn’s magic touch seemed to be fading. The spell he had long cast was breaking. And perhaps that meant closer scrutiny of how he was running a far-flung global business. An “investigation” by Japanese authorities “showed that over many years both Ghosn and [board member Greg] Kelly have been reporting compensation amounts in the Tokyo Stock Exchange securities report that were less than the actual amount, in order to reduce the disclosed amount of Carlos Ghosn’s compensation,” Nissan said in a statement last week, after Ghosn was detained in Japan. Obviously, these are still allegations, and because of Japanese law, Ghosn can be detained for weeks without being charged. The worst-case scenario, of course, is that he’s completely guilty, in which case his fall would be unprecedented in the history of the industry. This one gained traction early, given that neither Renault nor the French government was apparently briefed before Ghosn and Kelly were arrested. The theory is that Ghosn stepped down as Nissan CEO ostensibly to focus on fixing Mitsubishi, but that he continued to exercise CEO-level authority and might have been trying to engineer a full merger of Nissan and Renault. That move could have angered Nissan, where some executives dislike that the French half of the alliance contributes far less financially than the Japanese part. Japan Inc., as the country’s consolidated business world and auto sector is sometimes called, could have concluded that it was time for Ghosn to be pushed into retirement. Business hasn’t been bad – the alliance led the world in sales in 2017 – so it would have been difficult to oust Ghosn on that basis. So in effect, he was taken out in the corporate world’s version of a “Game of Thrones” move: completely ruined reputationally and humiliated before the audience that had formerly followed him as though he were godlike in his powers. Ghosn had been doing everything he was accused, but Nissan always looked the other way. I’ve been leaning toward this theory, as details of Ghosn’s alleged malfeasance have trickled out. His pay packages were complicated because he was being compensated by two entities in Nissan and Renault, and later three when Mitsubishi came on. Like a lot of globetrotting CEOs, he made copious use of private jets. he lived in multiple properties on several continents. He had perks on top of perks on top of perks. But when the bottom falls out this fast, nothing is forgiven. And reports that have emerged since Nissan ousted Ghosn as chairman last week indicated that he was pushing his luck, by among other things retaining his sister as a longtime consultant. Nissan is sick of Renault and the French government and wants out out the the alliance. A hastily called news conference in Japan by Nissan, no meaningful immediate statement from Renault, Ghosn’s arrest in Japan, and Renault’s decision to affirm its commitment to Ghosn as Chairman and CEO while putting an interim exec in charge while Ghosn is “incapacitated” all suggest that Nissan and Renault aren’t on the same planet here. 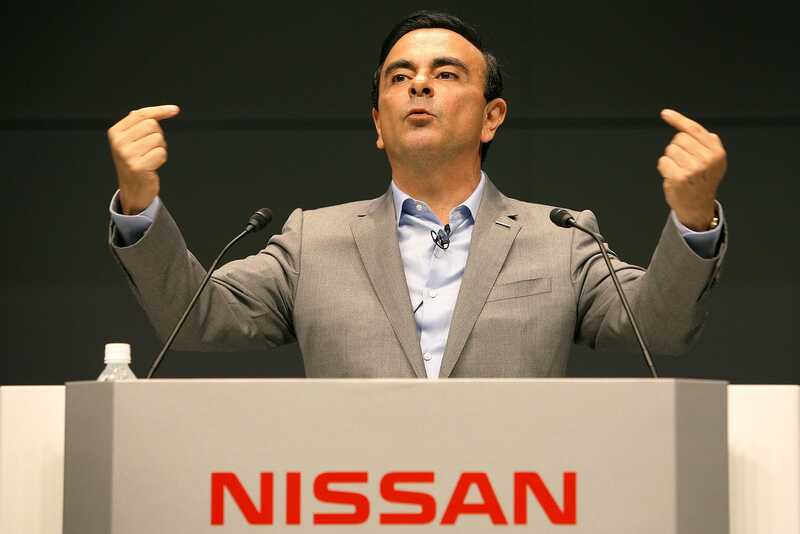 It’s certainly possible that the game-plan here is to destroy the alliance from the Nissan side and eventually send Ghosn back tio France – where he can resume his job minus the two Japanese carmakers under his control. From Ghosn’s perspective, sitting in a Japanese jail, this would perhaps be the best short-term outcome. Ghosn as Nissan Chairman was exercising too much power behind the scenes. Contrary to popular opinion, corporate boards are often relatively powerless, or far too political to really exert much influence. This is especially true in the auto industry, where the business tends to run itself when times are good, as they have been for the past five years. When General Motors was emerging from bankruptcy and its board was acting as a sort of multi-headed CEO, in collaboration with the federal government, which had assumed an equity stake when it bailed out the automaker in 2009. When Volkswagen was contending with an effort by Porsche to take over the entire company, and then much later, when the Dieselgate scandal shook up the carmaker’s leadership. The VW Group is a mashup of controlling families, powerful executives, the governments of Germany and the German state of Lower Saxony, and VW’s unionized workforce – all represented on the board – so the company is in many ways run by dysfunctional committee. However, chairmen sometimes wield immense power. The most obvious example is Bill Ford, who has been chairman of his family’s enterprise since he stepped down as CEO prior to the financial crisis. Ghosn appeared to occupy a similar perch at Nissan, creating an arrangement with protege Hiroto Saikawa in 2017 that he might have believed would ease some of the issues emanating from the Japanese side of the alliance. However, that strategy looks to have soured. Saikawa was unsparing in his criticism of his deposed boss last week, leading to speculation that he had either engineered a coup himself or been appointed as an assassin by Nissan’s board.